Sweetwater Secondary School is an educational option that serves students in grades 7-12. Sweetwater is an academic intervention alternative centered on student motivation. It is our goal to place each student on a pathway to success. Sweetwater is part of Altus Schools. Altus Schools focus on academic improvement, high-caliber teaching, safe and supportive learning environments, and the development of role models for educational reform. 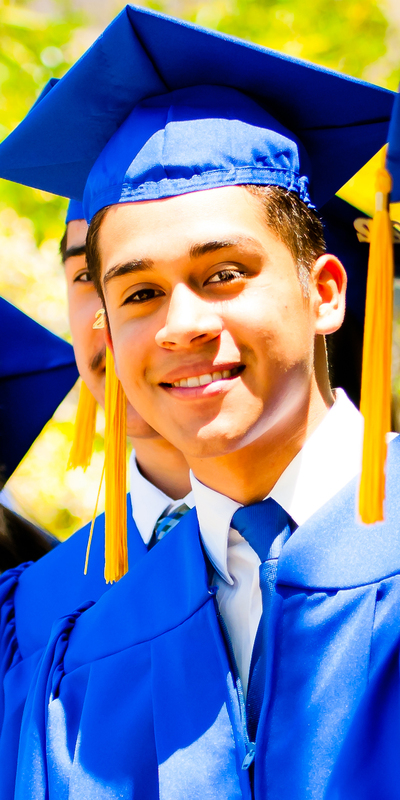 At Sweetwater, every student’s progress and academic achievement is important to us. Our teachers are committed to providing a personalized and rigorous academic experience for each student. Teachers are trained to work on specific student needs. We ask that students and parents commit to working closely with our teachers. Teachers are actively involved with students and families, engaging with parents on a weekly basis through formal meetings, home visits, phone calls, and emails. Families are considered part of the learning ‘team’ and an integral part of the learning process. Our school’s standards and expectations are high, and we are proud to offer safe and supportive Resource Centers that are conducive to learning. Tutoring is presented individually and in small groups. Courses at Sweetwater are based on California Common Core standards and are infused with appropriate technology-based activities and assignments. We provide the best available materials and a school culture that is positive, supportive, and committed to putting kids first. In addition to providing a rigorous, personalized academic experience, Sweetwater works to alleviate social and personal pressures that can impact academic performance. We also have many partnerships and alliances to provide community resources to students and families. At Sweetwater, students’ educational experience is guided by highly qualified staff in a safe, supportive environment. The primary method of instruction is independent study that is supplemented with guest speakers, tutoring, and field trips. Students at Sweetwater experience the “university model” where they study one or two courses at a time and are expected to complete one course every three to four weeks. Students progress at an individual pace, receive tutoring or enrichment as needed, and participate in small group instruction to meet academic goals. Students earn course credits and attendance by successfully participating in school activities and completing lessons that demonstrate mastery of the state standards. Sweetwater implementation includes a successful model of collaborative learning, teaching across the curriculum, self-paced lessons, and year-round open enrollment. Upon enrollment, a credentialed “On-Demand” teacher is assigned to each student who, in collaboration with the student and parents, assesses the student’s current needs and goals and creates a plan for rapid advancement, focusing solely on one or two subjects at a time. A post-high school education or career goal is included in the plan. Assigned to each student for a full year or more, the teacher supervises all subjects studied, and is personally held accountable to inspire and produce self-motivated and self-disciplined students who succeed not only academically, but also socially through teamwork and community service. As a result, On-Demand teachers adjust assignments to align with the goals and interests of the student and also personally act as necessary to ensure achievement. For example, if a student is late to an appointment, teachers contact either the student or the parents within minutes to identify and address any needs and teach accountability. Students’ course of study is based on a Pathways Personalized Education Plan (PPEP). This plan is developed by the Sweetwater counselor along with the student, parents, and teacher. It incorporates high school graduation requirements, the student’s short-and long-term goals, learning styles, previous work, current interests, academic achievement, skills development, and standardized test scores. The PPEP is reviewed and updated by parents, student, and teacher on a regular basis throughout the student’s enrollment. While students, parents, and On-Demand teachers collaborate to decide how, what, when, and where the student studies and learns, Sweetwater tracks and maintains rigorous standards. To obtain credit, C or better work is required and must be submitted on time. To advance a grade level, all work must be at grade level C or better. Students must also advance socially; in order to graduate, the quality of team collaboration and communication skills must be a C grade level or better, and 120 hours of community service learning or participation in our work experience program is also required. Sweetwater Secondary School is unique because we transform students. Students become self-sustaining learners and employable, self-sufficient citizens. They are inspired to be self-motivated, self-disciplined, productive, and socially adept. If academically lagging, they rapidly catch up to grade level with a C or better GPA. They achieve academic and social competence and graduate. Provides one-on-one, personalized, distraction-free instruction, with consistent support and mentoring from one teacher assigned to each student for a year or longer. On-Demand teachers are personally involved and held accountable for individual student success. Sets rigorous standards and measures each student’s level of initiative and self-discipline, productivity, and achievement of academic credit and social skills. C work or better is required for credit and for advancing a grade level. Team collaboration and communication skills are required at C grade level or above. Requires community service and/or work internship at a level exceeding that of most public or private schools.